Prominent & Leading Exporter from Greater Noida, we offer bopp holographic film, industrial bopp holographic film, holographic bopp film for gift wraps and holographic bopp film. 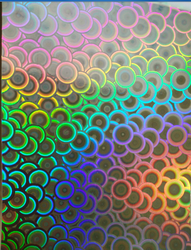 Being one of the market leading manufacturers and exporters of these BOPP Holographic Film, we manufacture these using raw materials of the highest grade and advanced machinery. Offered by us to clients at a market leading price and in a number of specifications, this offered product is highly asked for in the market. Further, its lay flat property and ink retention makes it a highly suitable product for packaging and labeling. 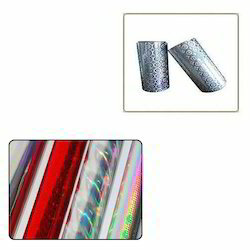 Being one of the market leading manufacturers and exporters of these Industrial Holographic BOPP Film, we manufacture these using raw materials of the highest grade and advanced machinery. Offered by us to clients at a market leading price and in a number of specifications, this offered product is highly asked for in the market. Further, its lay flat property and ink retention makes it a highly suitable product for packaging and labeling. 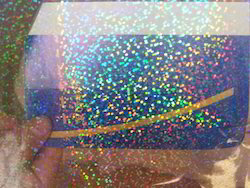 Being one of the market leading manufacturers and exporters of these Holographic BOPP Film for Gift Wraps, we manufacture these using raw materials of the highest grade and advanced machinery. Offered by us to clients at a market leading price and in a number of specifications, this offered product is highly asked for in the market. Further, its lay flat property and ink retention makes it a highly suitable product for packaging and labeling. Being one of the market leading manufacturers and exporters of these Holographic BOPP Film, we manufacture these using raw materials of the highest grade and advanced machinery. Offered by us to clients at a market leading price and in a number of specifications, this offered product is highly asked for in the market. Further, its lay flat property and ink retention makes it a highly suitable product for packaging and labeling. 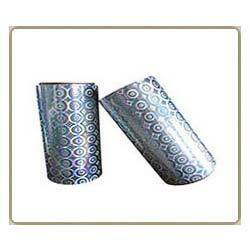 Looking for Holographic BOPP Film ?